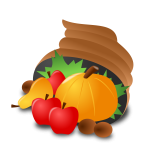 Hubb Plumbing would like to wish you and your family a Happy Thanksgiving! As we head into the holiday week, there is no better time to say “thank you” for the opportunity to serve you. At Hubb, we are thankful for having you as customers. And we thank you for your business and the opportunity to provide you and your family with quality plumbing repairs and service. Even during the holidays, contact Hubb Plumbing! Since 1987, Hubb Plumbing has provided and continues to provide the best plumbing services for Loganville, Grayson, and Snellville GA.
PS: Here are a few last minute tips to avoid thanksgiving plumbing problems!